Specialist Will Writers Eastbourne, East Sussex. Making your BIGGEST ASSET... your smallest concern! 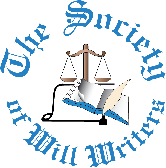 Low cost Wills and advice on Will making are our speciality. When you want to make your Last Will and Testament, theres now no need to take time out from work to visit Solicitors in their offices, or pay extra fees for a home visit. If you live in Eastbourne or around Sussex you can have local, professional Will writers visit evenings/weekends to suit you and will write you a Will that covers your needs quickly and easily; a service which saves you time and gives you peace of mind that your affairs are in order. Jason Coleman Associates friendly, professional experts provide the best value low cost Will Writing Service around to those considering making their Last Will and Testament in the convenience of your own home! We are not restricted to Eastbourne we also travel further afield; offering services as Will writers Sussex clients find very helpful - please give us a call. We all know that Solicitors do not come cheap because they provide a lot of other services. Our Will writers Eastbourne and Sussex specialise in Wills only and therefore offer a VERY reasonably priced dedicated home service for writing Wills for Sussex and Eastbourne residents, that is particularly convenient for those who cannot get out, i.e. elderly or disabled people, or those who cannot find the time to make appointments with a Solicitor and would prefer someone to visit them at home. So when you want a cost effective service for local Will writers Eastbourne, or Will writers Sussex, come to us! You dont have to take time off to visit a Solicitor in office hours! Why not see what we have to offer? The initial visit, guidance and advice on making your Will with one of our friendly Agents is free and without obligation. Dont leave it until its too late - its easy to contact us now to leave your details for a call back. We also offer Independent advice to Executors. Jason Coleman Associates, Will Writers Eastbourne - Good advice, at a reasonable price! Will Writers Sussex and Eastbourne will undertake Home visits to write up your Will in the Eastbourne and East Sussex area.